Kratos Defense & Security Solutions has announced that its Kratos RT Logic subsidiary has won an award of $2.6 Million to develop a proof of concept system that enables satellite communication roaming capability. This effort will increase the capacity and resiliency of wideband satellite communications (SATCOM). Kratos’ system will enable government satellite users to roam, similar to the way cell phone users roam through multiple cellular networks. This will be demonstrated with a Flexible Modem Interface (FMI) that enables secure communication across multiple satellite operator networks, in multiple frequency bands, utilizing diverse waveforms and modems. 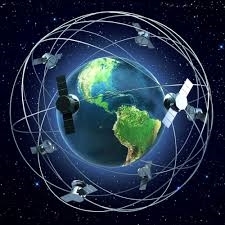 It will show implementation of critical command and control (C2) capabilities allowing an existing U.S. government terminal to switch to different satellites if the main satellite is compromised, enhancing resiliency through path diversity and enabling global service connectivity to multiple available networks. Under the terms of the award, Kratos will also demonstrate a prototype government network operating center (GNOC) function that responds to user requirements and service provider capabilities. The function interfaces to SATCOM gateways and remote terminals, provides situational awareness, and successfully mitigates threats. Kratos is supported on this effort by a world-class team of satellite operators to execute the program, including Intelsat General, SES Government Solutions, and INMARSAT.